Cooper Square Pub, 9780873589093, 32pp. "When I grow up can I be sporty like you? You can do anything you set your mind to." This is NOT your average big-sister princess This active princess plays soccer, does yoga, falls on the ice, and scrapes her knobby knees while showing her little brother how to be sporty, too. 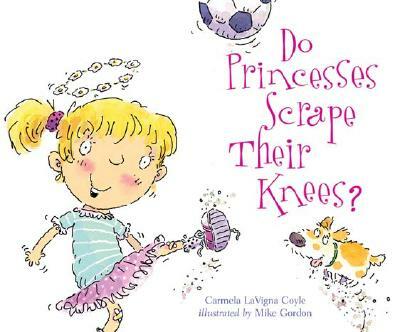 This charming story helps children see that it's okay to fall down and scrape their knees when trying something new, even when showing off for a sibling. It's the trying and the fun that count. Through belly-flops and missed baskets, our priceless princess discovers that doing your best is all that really matters,even when your little brother is tagging along.